Everyone was bummed when Play’n GO pull back on the release of Starblast, because of a copyright battle with NetEnt, last month. Yet, it seems that the studio has fallen back quickly on its feet, and responded to NetEnt threat by announcing two new other games. Indeed, on March 28th Play’n Go launched the new Mayan adventure slot, Contact, across many UK facing brands like LeoVegas, Casino Heroes and Rizk. And, the words on the street are, that players are responding very well to it. Which means that missing out on the release of Starblast could have actually been a blessing in disguise for Play’n GO. The new Contact video slot with its 5 reels and 7 rows, truly stands out in the provider’s portfolio. Indeed, this game offers a unique 3D perspective. And the multiple camera angles used in this slot makes it a compelling avalanche game to play. Contact video slot is the first fully 3D game with colossal reels launched by Play’n GO. And the visuals of this game are astonishing. So it’s no surprise to hear this game is performing well with players. Another big casino game will follow the release of the Contact video slot. Indeed, Pheonix reborn will go live in the UK mid-April apparently. For now, we don’t know much about the game other than it also uses a colossal reel set. The new Pheonix reborn will have 5 reels and 6 rows. Also, the upcoming Aztec slot will have an RTP of 96.3%. And a max win of 5000x a player’s stake. 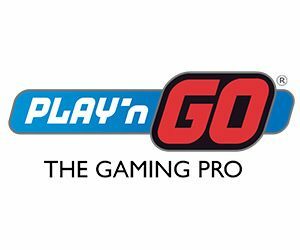 Play’n Go have yet to confirm the actual launch date. But we expect the game to go live the second or third week of April. Meanwhile, you can visit any UK casinos mentioned in this news to try Contact video slot and see why so many players love it.